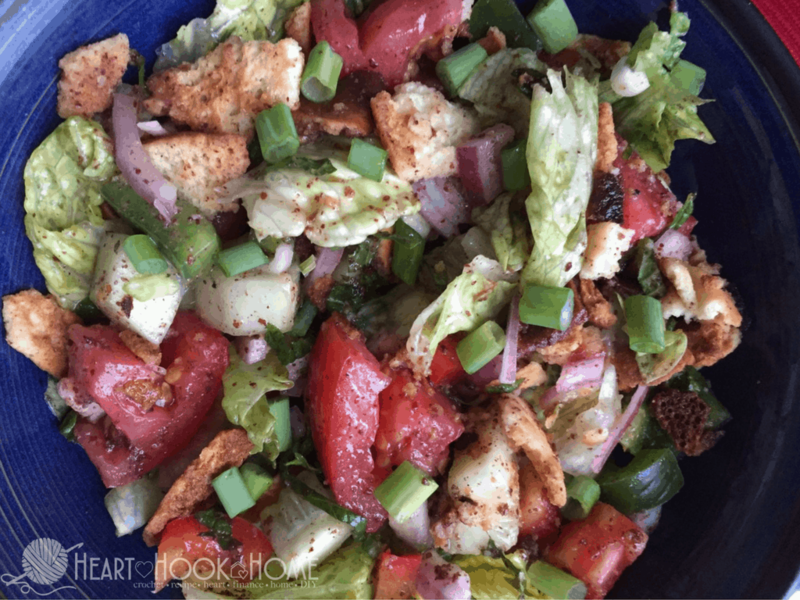 Fattoush salad is a favorite in our house. With the crispy baked pita bread, the red and green peppers and above all – the sumac and mint – it is no wonder we love it. 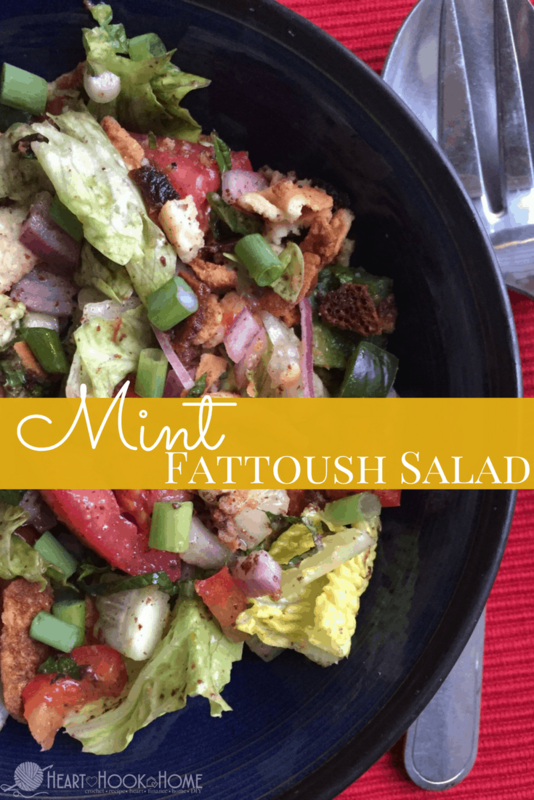 My eight year old and ten year old both devour this Fattoush salad recipe. Packed full of vegetables and spices, this will quickly become a favorite of your family’s as well. In a small container add all ingredients. Put lid on container. Shake and set aside. 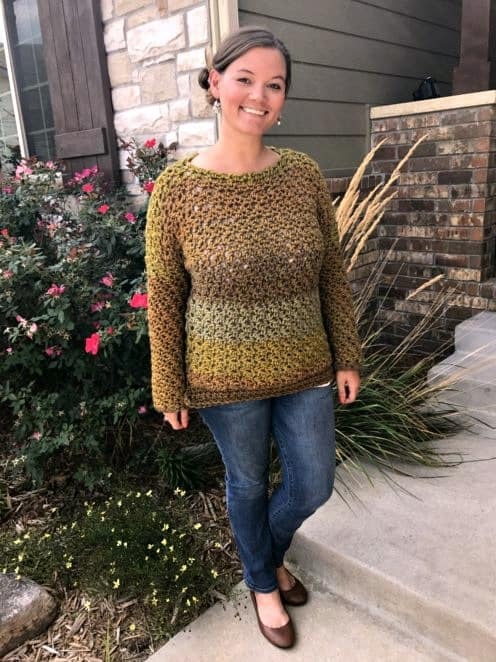 Preheat oven to 350 degrees. If your pita rounds are thicker you may try and separate each round into two thinner pieces. I’ve noticed that with some brands you can cut around the outside with scissors and then easily separate into two pieces just by pulling them apart and then with other brands I’ve had to take a large knife and separate it as best as I can. Either lay directly on oven rack or on foil and bake until it turns a nice toasted brown color (approx 5 minutes). Let cool and place pita rounds into a gallon size storage bag. Using your hands break into smaller croutons sized pieces and set aside. Combine all salad ingredients in a large container with lid. Toss. Set aside. When ready to eat simply add toasted pita and dressing to salad mixture. Put lid back on container and shake vigorously until pita is evenly mixed in and salad is evenly coated with dressing. Enjoy! In a small container add all dressing ingredients. Put lid on container. Shake and set aside. Toast your pita bread... preheat oven to 350 degrees. Separate each pita round into two thinner pieces. Either lay directly on oven rack or on foil and bake until it turns a nice toasted brown color (approx 5 minutes). Let cool and place pita rounds into a gallon size storage bag. Using your hands break into smaller croutons sized pieces and set aside. Combine all salad ingredients in container with lid. Add in dressing, place lid on top and shake vigorously.